This Fellowes Earth Series heavy duty storage box features a triple layer of board to the end panels and a double layer to sides and base. 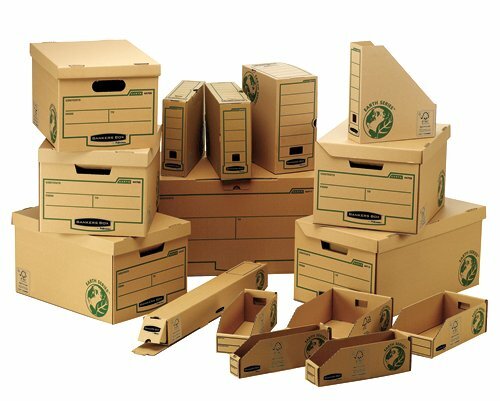 It comes with reinforced hand holes that resist tearing and make these boxes comfortable to carry. It's compatible with transfer files, ring binders, lever arch files and suspension files. The over-sized lid means it can also be used with suspension files. 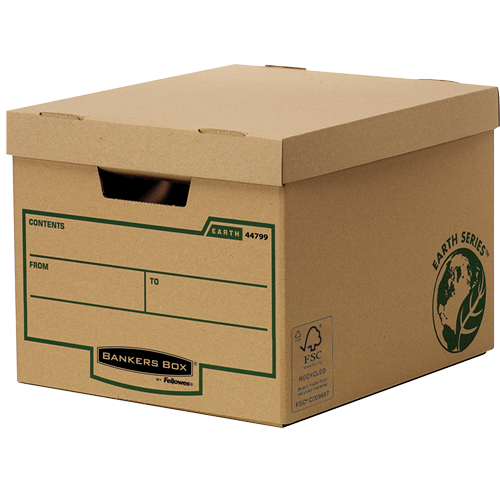 This sturdy, corrugated storage box can also be used to transport files off site or between home and work. 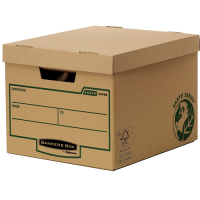 These storage boxes are made from certified 100% recycled board and are 100% recyclable. All inks used are water based and adhesives used are solvent free.